This is my last post for 2011 and certainly not a fat-free one. 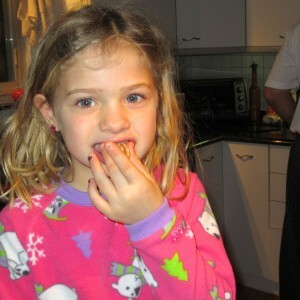 However, it’s my grand daughter’s favorite breakfast dish. I haven’t calculated the calories, but I assure you, it’s not on the Blimpy Girl daily eating plan. I consider it one of those “splurge” items during this holiday season. If you compare this to other breakfast foods, you’re still lower in calories than eggs and bacon. I will definitely be back on track Januray 1, 2012. In fact, I’ve already made tomorrow’s lunch… Tuna Puffed Pastries. This is an EZ breakfast dish. Cook a pancake (or two). Sprinkle the finished pancake with sugar and cinnamon. 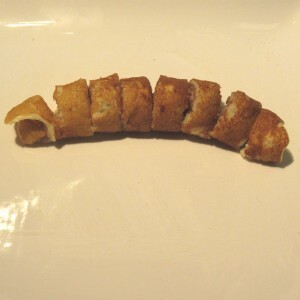 Roll the pancake and slice into bite-size pieces. Did I mention that sprinkling powder sugar on top of the roll up is always a hit for the little ones? Miss Olivia certainly enjoyed her cinnamon roll-up this morning. On New Year’s Eve, the wine guy and I will be hosting a small dinner party. It’s tradition. We eat, soak in the hot tub, light off fireworks, and then all crash at our house (as we don’t want anyone drinking and driving!!). We’ve been linking up with the same couples for many years. Sadly, as we have all aged, we are lucky to keep our eyelids open until that midnight hour. The dinner menu this year is a “surf & turf”. The wine guy is in charge of that venue. For me, the above appetizer is in the works. So easy but soooo yummy. 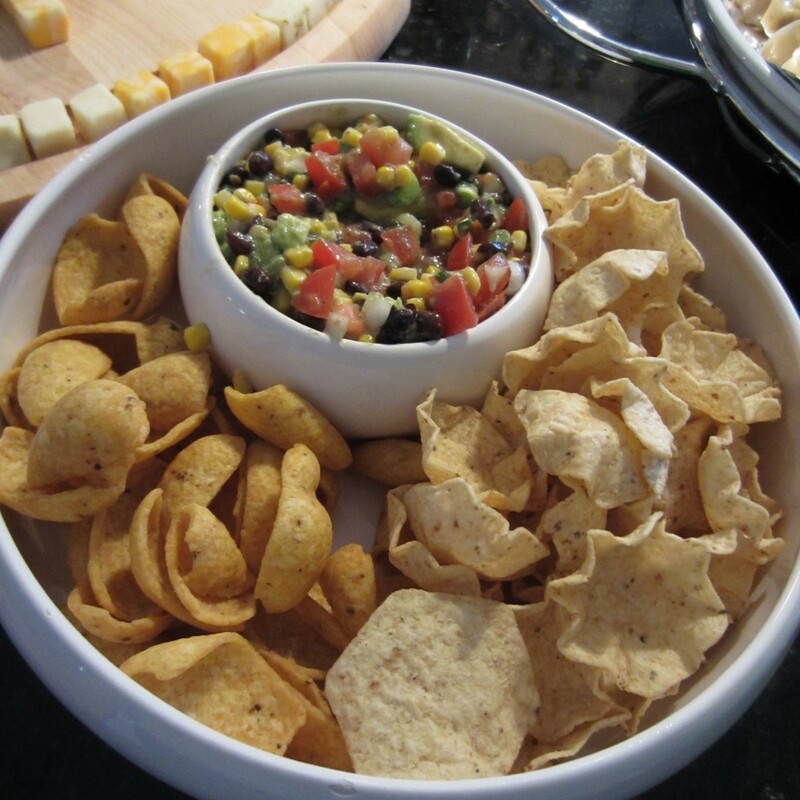 My sister-in-law, Anita, has shared this dip at our family gatherings and it is well received. Thanks, Anita! 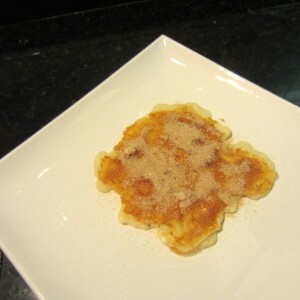 My last post was a recipe for home made Gyoza shared by my Japanese sister-in-law, Mariko. To complement this dish, I made a bamboo shoot centerpiece. Elegant, but simple. It will complement any sushi or gyoza appetizer table. 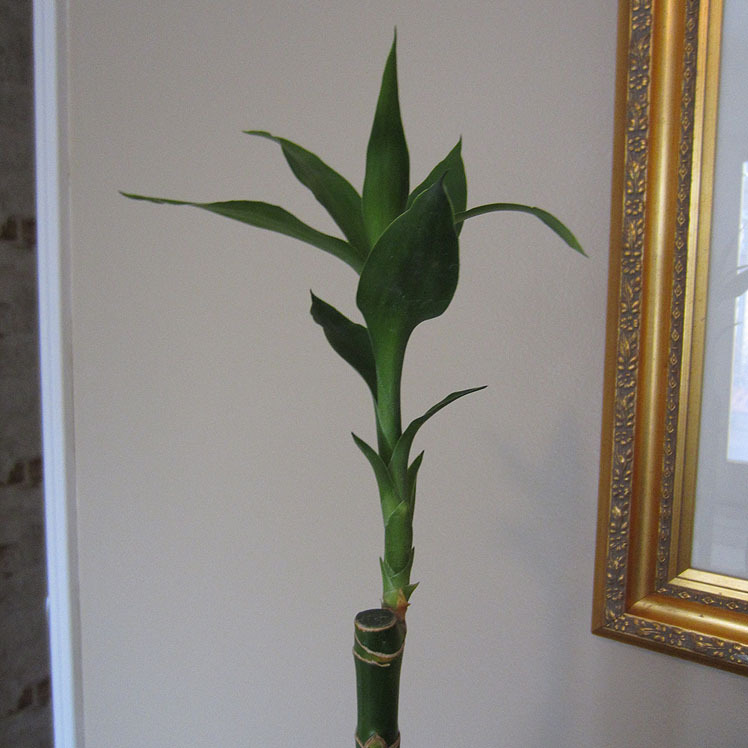 The bamboo shoot was purchased at Ikea. They were selling each shoot for $2.95. For me, one stalk really made a statement. 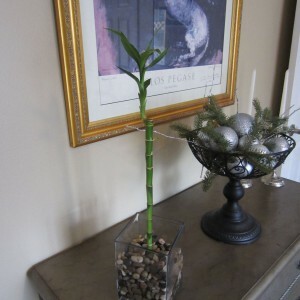 I already had the vase and stones from other arrangements. I added 3/4 cups water to the vase. I will drain water and swap out for fresh water every two weeks. This is an awesome arrangement (and affordable) when you do a Japanese themed dinner party. It was a hindsight moment viewing this picture I snapped of my sister-in-law’s homemade Gyoza. My sister-in-law , Mariko, is Japanese and has recently become a US citizen after living in the States for 20 plus years. She offers so much insight into Japanese cuisine / culture and I love tasting her dishes and listening to conversations about Japanese lifestyles. Every Christmas Mariko makes Gyoza for our family gathering. The Gyoza are to die for and eaten by family members in no time flat. You need to arrive early if you hope to get a portion before the platter is empty. Each Gyoza is filled and crimped by hand. The dipping sauce is unbelievable. This year the Gyoza was made using beef soy crumbles, though pork is often the traditional meat used. I watched in amazement as the Gyoza were filled and crimped by hand. Unfortunately, I was having a brain fart and never thought to take a picture of how this is done. Shame on me because there really is an art to making them look like this picture. 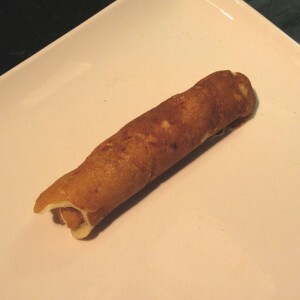 I am giving the recipe for the filling and dipping sauce. There are a couple of things I definitely suggest. 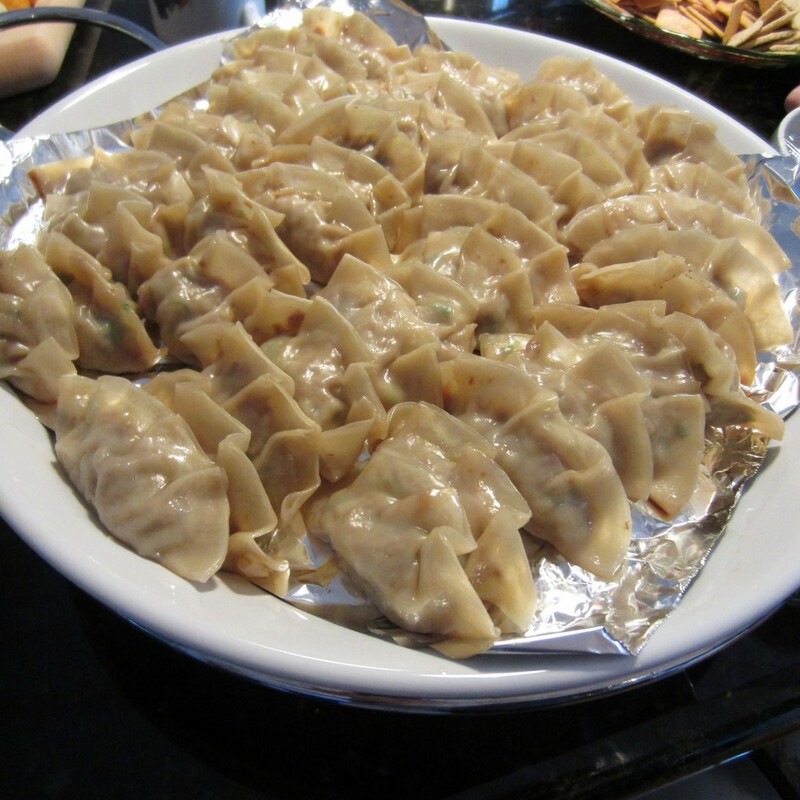 One, use Gyoza wrappers, not won-ton wrappers. Gyoza wrappers are round. They may be hard to find, but not impossible. Many grocery stores now stock a section of Asian food products. Love, love, love this! 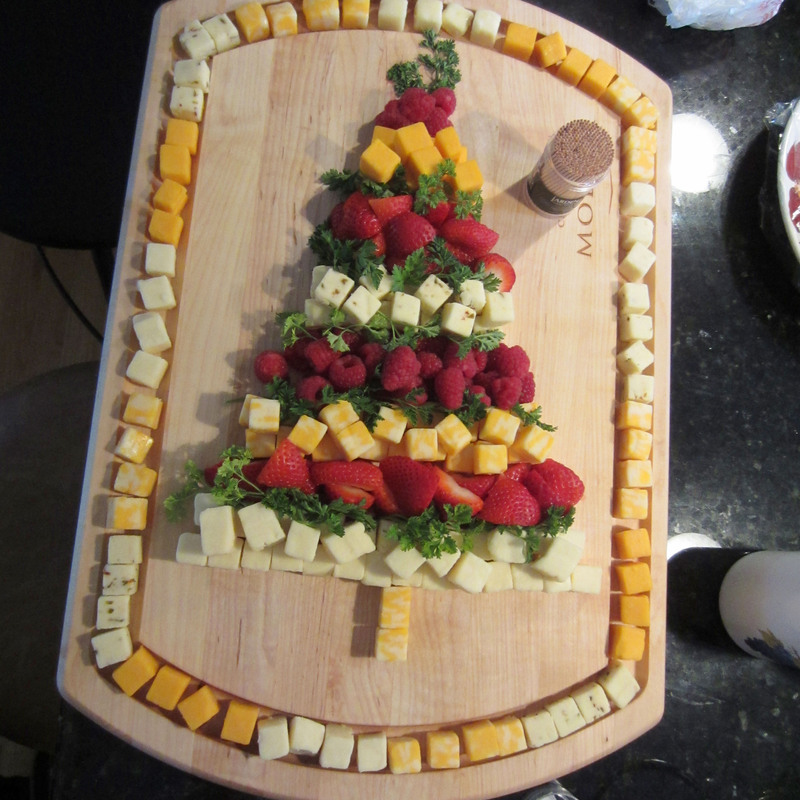 This was the cheese appetizer my daughter brought to our family Christmas yesterday. Everyone was in awe and snapping photos. She used four different cheese chunks (purchased pre-cut from Costco), parsley springs for the green, raspberries and sliced strawberries for the red. What made this even more awesome was the cutting board used. My husband (the wine guy) received this from one of the wineries he represents. The grooved edge was ideal for arranging a border of cheese chunks. There was a whole bunch of mischief happening on Day Seven. 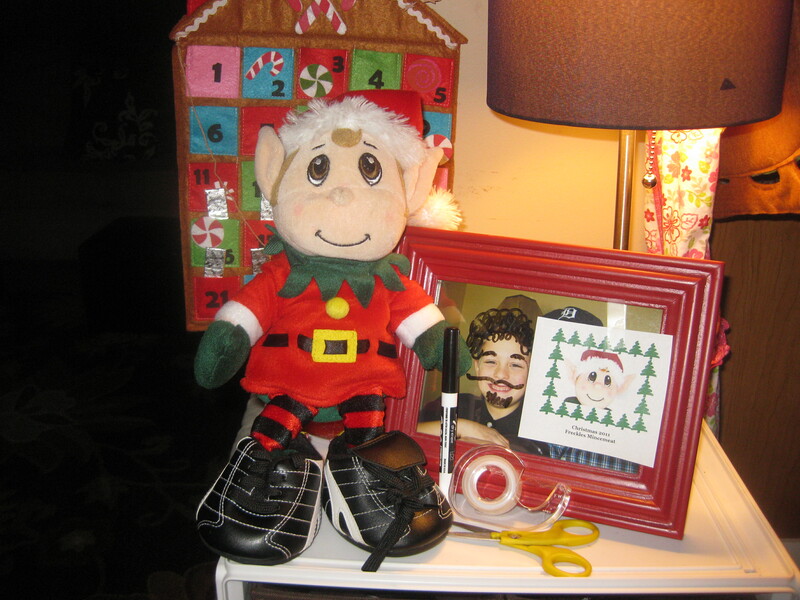 Elf Dimples stole Mr. Christmas bear’s soccer shoes and then proceeded to apply his elf face to all of Carson’s pictures. He even drew a moustache, eyebrows, beard and extra hair on one of the faces. 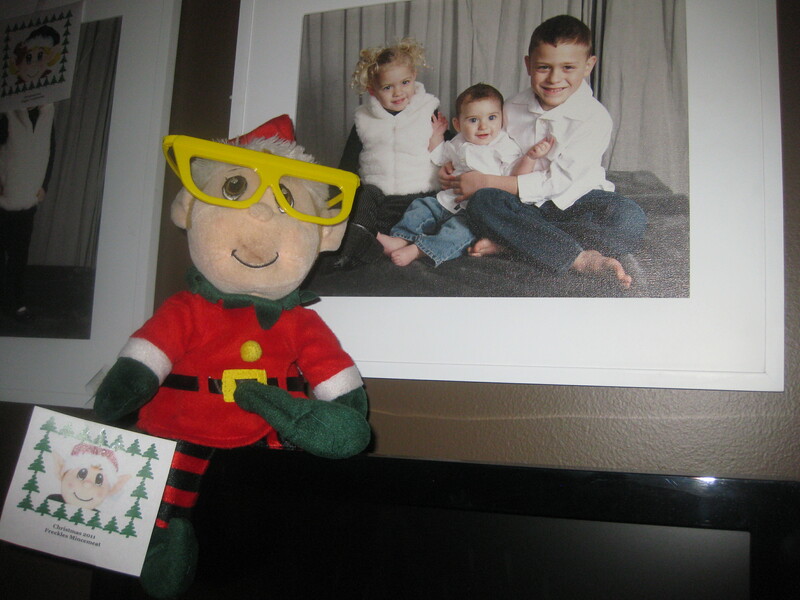 Elf Freckles found a pair of funky sunglasses to wear while applying his elf face to all of Fishcer’s family pitures. 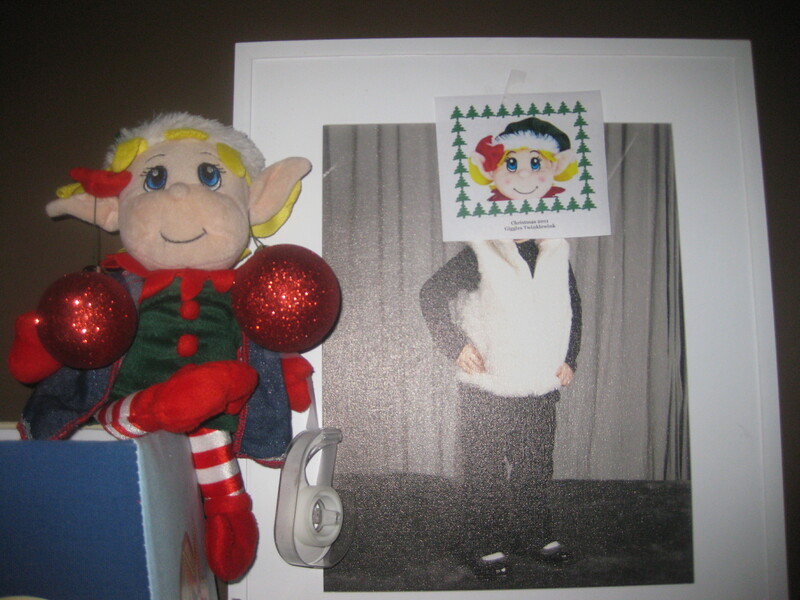 And Miss O’s elf, Giggles, was just as naughty by taping her elf face onto all of Olivia’s pictures. This Elf night was certainly a hit with the kids. I often mention my daughter picks up Blimpy Girl lunches every morning on her way to work (she’s an administrator at a school). Not only does she work full time, she is also a mommy to three little people. I know she appreciates having a prepared lunch that is both healthy and way lower in calories than fast food joints. This is the today’s school lunch. 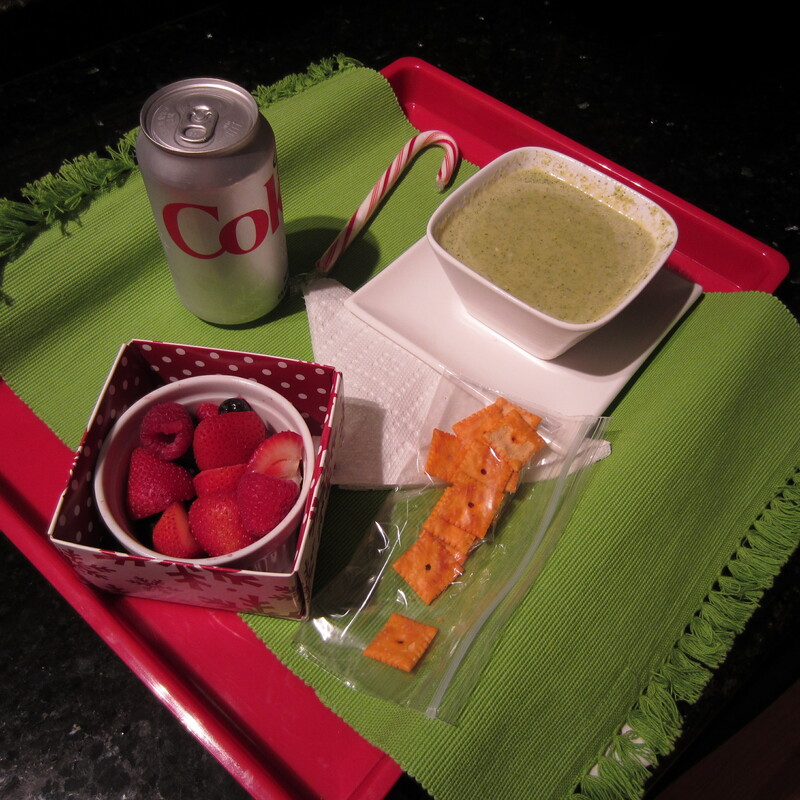 Cheesy broccoli soup with a few Cheez-it crackers. A side dish of fresh berries is the salad substitute. Of course, Diet Coke is always on the menu for my daughter. 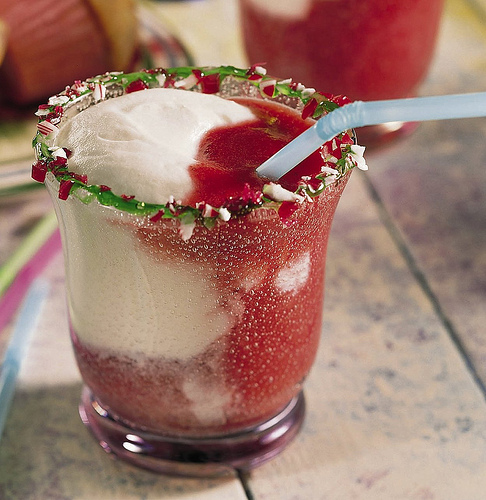 The candy cane, well… let’s just say it lends itself to the holiday season. Yes, really! Green chicken eggs. My grand kids will be nuts about seeing an actual green egg. 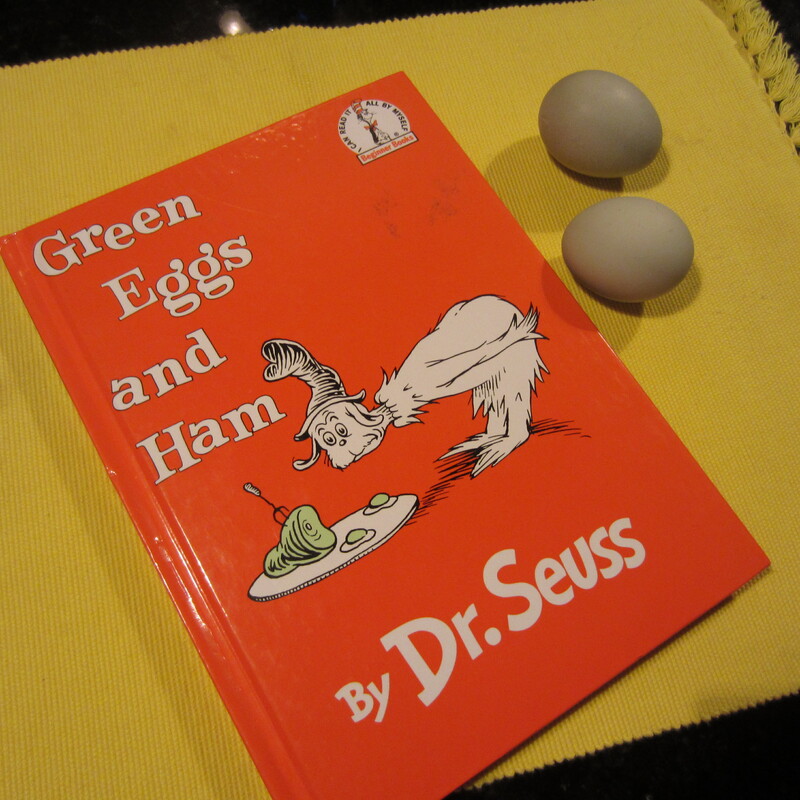 When the grand kids stay the night, their breakfast is always green eggs and ham. They fell in love with the Dr. Seuss book and became obsessed with making scrambled eggs with green food coloring. There are only two true breeds of chicken that produce green eggs. The oldest breed is called the Araucana chicken, and it originated in Chile. It’s a funny looking chicken, with poofy cheek feathers and no tail. Though the eggs are edible, we won’t be eating them. I may hard boil them and surprise the kids while reading Green Eggs and Ham at bedtime. How fun to pull out green eggs from underneath their pillows. I acquired these eggs from a family member visiting from Maine. Lisa raises chickens including the Araucana breed. She packed these green eggs in her luggage on her flight to Michigan (yes, she actually packed eggs in her luggage). When I mentioned how much my grand kids loved the Dr. Seuss book, she gladly forfeited some eggs for us share with them. Thank you, Lisa. Everyone is trying to pinch pennies (or I should say dollars) this holiday season. 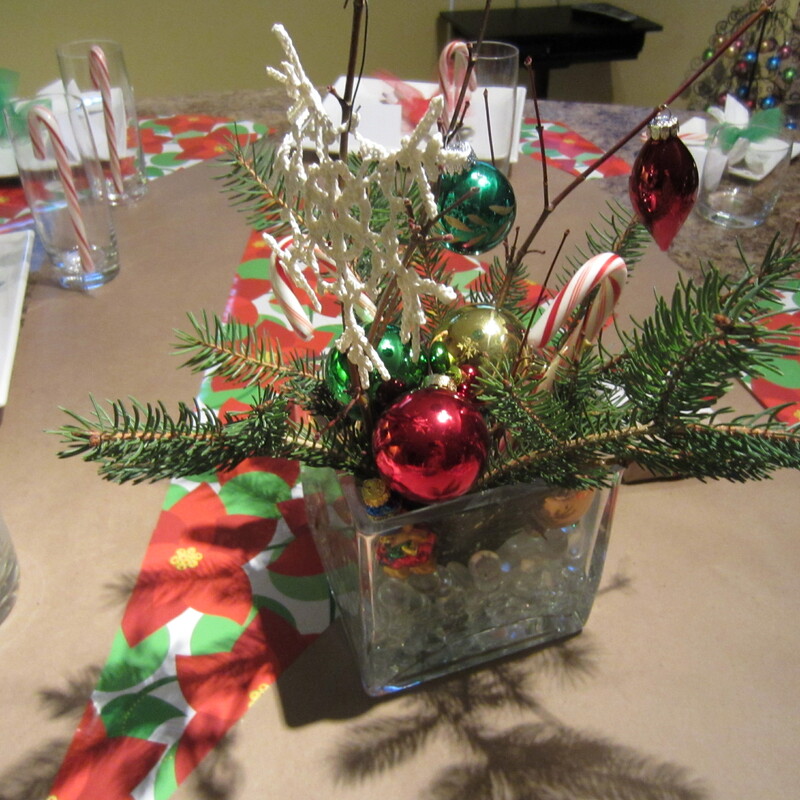 There is something to be said for DIY decorating, gift wraps and table settings. Yesterday our family celebrated my Mom’s 81st birthday. Because her birthday is close to Christmas, I wanted a festive table setting without spending a great deal of time (or money) on it. 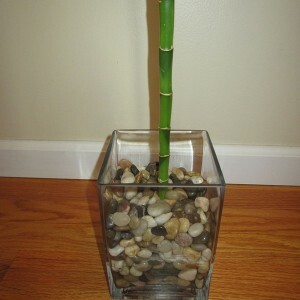 I grabbed one of my shorter flower vases and filled with clear glass pebbles. I did some snip-snip of pine branches in our yard, as a last minute thought I clipped a few branches from a Japanese Maple. The vase void was filled with miscellaneous holiday ornaments. A splash of water and I had a pretty awesome looking centerpiece in less than 10 minutes. It should last a week or so and when the pine needles start to drop, they will be discarded and freshly cut pine branches will replace them. 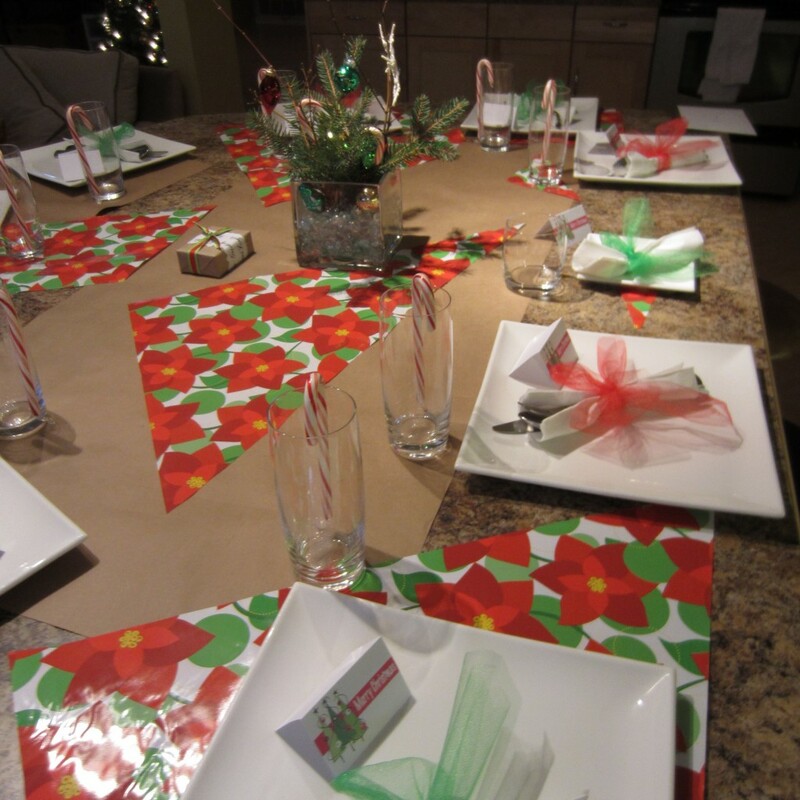 The island table top is decorated with a strip of brown Kraft paper and random cuts of holiday gift wrap. I tied the silverware and paper dinner napkin with festive ribbon. As you will see below, my youngest grandson put the ribbon to good use as a Ninja dinner warrior. 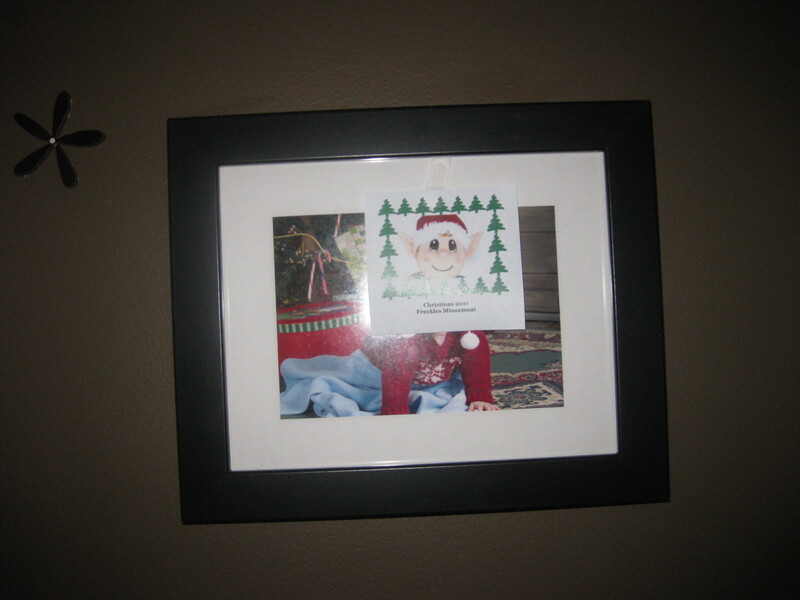 Merry Christmas place cards were printed on card stock using MS Publisher. A candy cane dressed the drink ware which the grand kids loved. 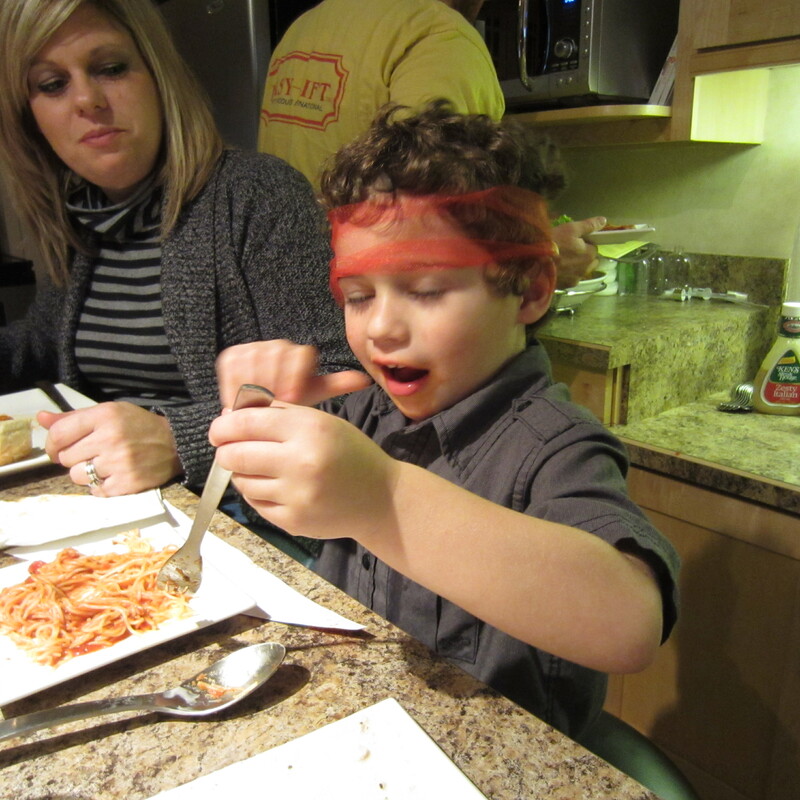 The menu included spaghetti with meatballs, garden salad and garlic bread. My Mom’s birthday cake was an apple crisp that was yummy delicious. Good use was made of the ribbon that tied the silverware. Thank you Betty C. for this awesome strawberry vanilla yogurt smoothie idea. 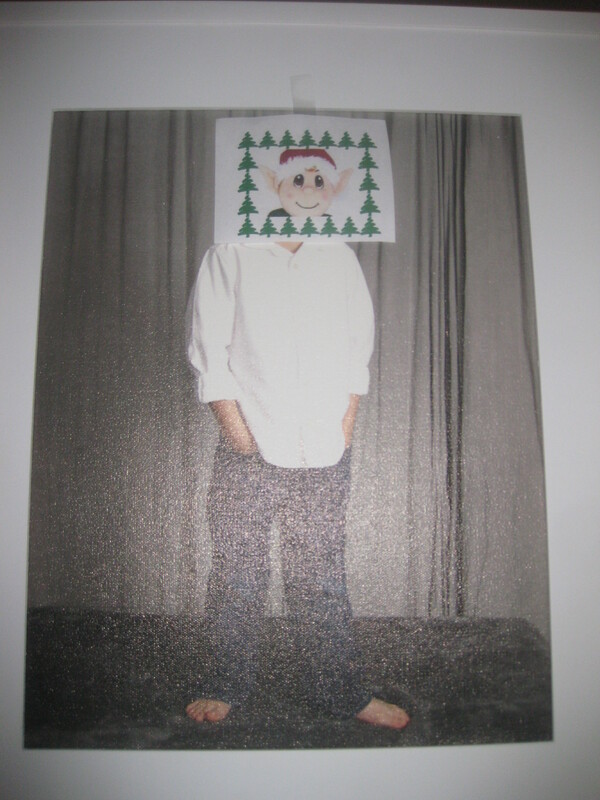 I’ve revised it a bit to fit the Magic Elves that arrive every Christmas. The wine guy (my honey-man) is off to the grocery store to shop for the week. These ingredients are on the list. Won’t the grand kids be surprised when they awaken and find their Magic Elves sipping on this smoothie? Those Darn Elves. Always into Something! What’s Up This Year With the Elves?